Today, when you order "Blind Luck & Pure Skill by Dan Paulus", you'll instantly be emailed a Penguin Magic gift certificate. You can spend it on anything you like at Penguin, just like cash. Just complete your order as normal, and within seconds you'll get an email with your gift certificate. Blind Luck & Pure Skill by Dan Paulus (DVD) SO STRONG, it had to be BLIND LUCK! Highly recommended! The two cards are turned over to show that not only do they match, but each card has the back design from the opposite deck! BONUS! THE ZARROW SHUFFLE -- Expert tips and instruction for a sleight that in Dan's opinion is the best false shuffle of all time! When I first saw this demo'd, my immediate thought was that ok, it's some sort of gaffed deck... let me figure out exactly what it is. Naturally, I felt foolish when I discovered that there was no gaff at all. The two decks of cards are completely normal. The basis for the effect is a brilliantly deceptive force that is undetectable... plus a routine built around it that is excellent. This is so easy to do, and yet it is so baffling to the spectator. You end completely clean, and both decks are completely examinable. What more could you possibly want in an effect? Dan Paulus is a perfectionist and this comes across in this DVD. I have had the material since it was in VHS and love the effect and would recomend it to anyone. You will have some wonderful reactions if you use these tricks. Not to mention at this price it is a real bargain. This DVD teaches two effects, the first one is one I turn to time and time again. After learning this, it went straight into my working repertoire. After five years, it's still there. Not much more to say than that. Performance is incredibly easy. It's great for close-up and resets very quickly. The second effect is also very good and it teaches the zarrow shuffle, which if you don't already know, is an invaluable tool. Highly recommended. Too bad his first name isn't Paul... How cool would it be to have a name like Paul Paulus?! Dan happens to be a friend of mine, but that won't stop me from giving an honest review. Hopefully you guys have seen that by now. While this DVD is a definite GEM, there are some considerations that we'll need to address. We'll get there in a minute. The Effect: Two decks of cards (one red and one blue) are introduced. Spectator chooses one - Let's say red (no force). He then puts the deck behind his back and reverses any card in the deck that he wants. He then spreads his red deck on the table as the magician (or the spectator) spreads the blue deck on the table. It turns out that there is a card reversed in the deck the spectator did NOT choose. It matches the one the spectator turned over. On top of that, when the cards are turned over it is seen that the spectator's (red) deck actually has the blue card from the magician's deck and vice versa. Production Quality: This is one of those things that I said we'd have to address. The video, lighting and sound are pretty rough. Definitely a home movie feel to it. Luckily the effect is straight forward and simple enough to perform and teach that it doesn't hurt too bad, and you don't miss any critical pieces of information. This effect is brilliant, and requires pretty much no skill, and has a pretty quick reset for table hoppers. Again, no forces are used. The spectator pretty much does all of the handling of the cards, and it works 100% of the time. What you get: A DVD with 2 tricks and an explanation of the Zarrow Shuffle. Second Effect - Pure Skill: This is any card at any number. This is one of the best methods I've seen for accomplishing this. It's very simple and very sneaky. GEM! Bonus - Zarro Shuffle [sic]: Here Dan takes a moment to go over the Zarrow Shuffle, and is quite detailed. He performs the move well and is good at breaking it down and explaining it. Gem. Final Thoughts: Both effects are simple to do and can be added to your arsenal practically minutes after learning them. Each effect is very powerful and gets an incredible reaction from your audience. Frankly even considering the poor production quality, it's only $20.00 bucks, and it's worth the risk to find out if I'm right about how good these effects are. David Regal said that "Blind Luck is a trick that should be in evry [sic] magician's repertoire!" I couldn't agree more. GEM! I didn't get this from Penguin, i got it from the man himself! He used to work at a magic shop out in Utah, but its closed now. He did it very well. I hope the product is still being bought and is not just lost in 7000 other tricks. After watching this for a while and playing with my own cards, I was able to figure it out.I can't believe how slick this trick is. It will work everytime and there are NO gimmicks!!! Any two decks can be used! Set up is easy and quick. One of the best mentalism tricks on penguin! If you don't know how he did this, get this video. The moves used are excellent ones and can be used in any performance. Awsome stuff. 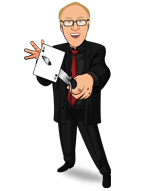 THE BEST CARD TRICK this has to be the best card tricks on penguin. it doesnt use forces or finger booking. just a quick 2 min. set up in the beginning and your set for the amazing finish. I was performing this trick 15 min. after i saw the dvd. ADD TO CART !!!!!! !